Seasonal Affective Disorder (SAD) is a type of depression that is linked to seasonal changes -- the symptoms of low energy and moodiness start in the fall and continue into the long dark months of winter. A common treatment for this seasonal depression is increasing the body's exposure to natural light. Psychiatrists suggest that sufferers increase the amount of time they spend outdoors getting natural light; in extreme cases, phototherapy, exposure to bright light that mimics the sun, may be recommended. No one is suggesting that sunscreen be abandoned, but some research has shown that brief periods of unprotected exposure to sunlight may actually be good for the skin. As the skin synthesizes Vitamin D for the body, immune cells travel to the outer layers of the skin to protect it and help repair damage. participates in nerve, muscle and immune system functions, as well as in the reduction of inflammation. Many foods including milk, orange juice, milk alternataives, and many brands of cereal are fortified with Vitamin D. It is found in many nutritional supplements. Speak with a medical professional first, though. Overdoing supplements can lead to kidney problems and other health issues. 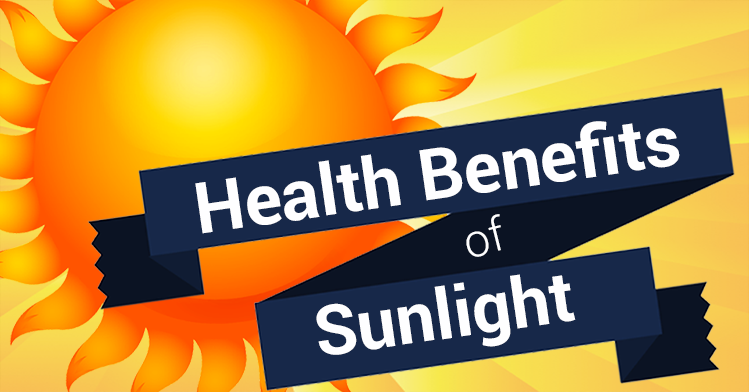 However, the best way for our bodies to process Vitamin D is through some sun exposure. Some researchers advise about 15 minutes per day for fair-skinned people; more darker-skinned, the elderly, or the overweight. Talk to your medical professional if you are concerned about Vitamin D levels. At Bush Chiropractic we want all of our patients to be able to enjoy the Spring weather as healthily and free of pain as possible. Don't be afraid to catch some rays -- in moderation -- and get out and get your body moving!